With over 25 year's market expertise - A1 Gilbert Plumbing Services offer expert advice and superb workmanship. Based in Barrow serving customer from Ulverston, Dalton, Walney and surrounding areas. 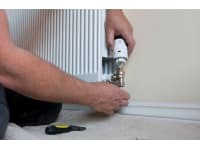 Specialists in all aspects of plumbing, heating and gas - particularly boiler installation, breakdown, repairs and servicing including gas cook installations, shower installation and cladding. Reliable, professional and honest service.